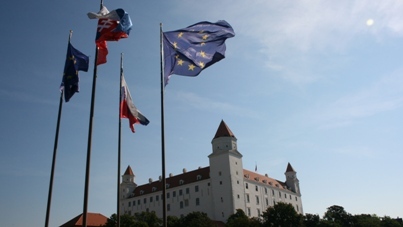 The latest European Economic Forecast – Spring 2014 from the European Commission bodes well for Slovakia, as the country is expected to enjoy economic growth this year and next, in the wake of a slowdown last year. The Slovak economy slowed down in 2013 but growth is expected to gather pace, reaching 2.2% in 2014 and 3.1% in 2015. The composition of growth is to become more balanced as the main driving force shifts from net exports to domestic demand. Employment is expected to grow only modestly over the forecast horizon and inflation will remain low. The government deficit is projected to remain just below 3% of GDP.After a slowdown in 2013, the Slovak economy is set to gain strength in 2014. Real GDP is projected to increase by 2.2% in 2014 and by 3.1% in 2015. Growth will become more balanced as domestic demand overtakes net exports as the main driver. While labour market conditions are expected toimprove somewhat, the unemployment rate is projected to stay above 13% over the forecast horizon. Having decreased in the second half of 2013, inflation is expected to remain low. Employment is projected to increase over the forecast horizon but only modestly so, due to its low responsiveness to economic growth. The unemployment rate is also expected to fall somewhat, but it will remain close to 13% given the structural nature of unemployment as shown by the high rate of long-term unemployment. The full report is available here, inclusive of the Slovakia subsection on page 94.